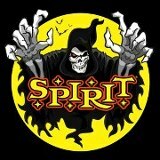 The Spirit Halloween is a nationwide store in the United States of America specializing in Halloween merchandise. It was founded in the year 1982 in San Francisco, California by Joseph Marver. Currently the Spirit Halloween Stores has a total of over 400 stores in the United States. Because of the fact that their business is seasonal, during Halloween, Spirit Halloween usually rent stores from other companies that are not using them. They also conduct online business where they ship goods ordered from home. Spirit Halloween specializes in offering all kinds of Halloween stuff like costumes and party items and decorations. There are currently 0 consumer reviews about Spirit Halloween available. Share your review. Please take a note that you are about to post a public review about Spirit Halloween corporate office on CorporateOffice.com. This review will be public, so please do not post any of your personal information on this website. If you would like to contact the corporate offices of Spirit Halloween, please use their contact information such as their phone number, website, and address listed above to contact them. However, sometimes staff from Spirit Halloween headquarters do read the reviews on this website.